How do you feel when your piping system is damaged or when you wake up to a blocked drain? Plumbing issues like these can make life unbearable for everyone living in the home. The best thing for you to do is to hire professional Windermere Plumbers to get the issue fixed immediately. If you are in need of an experienced, well known and trusted plumber in Windermere, Keene’s Pointe or Isleworth, look no further than the plumbing experts at A-1 Service Plumbing. At A-1 Service Plumbing, we offer standard plumbing services as well as 24-hour emergency plumbing services for your convenience. 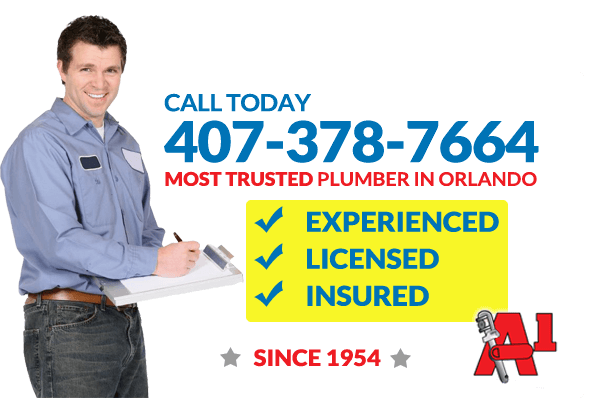 With over 50 years of experience in serving the plumbing needs of Windermere, and Central Florida area, you can rest assured that you are getting top quality services from us. Some of the plumbing services that we offer to the residents of Windermere and nearby areas include water heater installation, maintenance and repair, repiping for old or degrading pipes, burst pipes, clogged drains, and leaking plumbing. Furthermore, we are capable of handling the following plumbing issues wall leaks, slab leaks, hidden leaks, broken toilets, and so forth. Even if you are in search of professionals for your electric sewer cleaning, sewer jetting, camera lines, or lavatory sinks, A-1 Plumbing Service remains the perfect fit for the job. We make use of top quality materials, and our services are very affordable. Plumbing issues to not inform homeowners before they occur. For this reason, you are probably going to need expert Windermere Plumbers to get the issue fixed once they occur. In case you find yourself in the situation that requires a 24-hour Plumbing in Windermere, always turn to A-1 Plumbing Service. 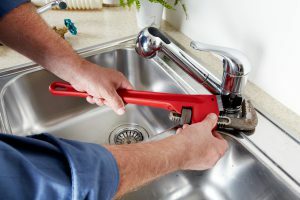 Whether it is a damaged faucet, clogged drainage system, blocked sink, broken tub or shower, damaged septic systems, our well-trained Plumbers in Windermere will always be available to attend to your plumbing issues and get it fixed as fast as possible. There isn’t a job that is too big or too small regarding plumbing in Windermere. We work with a team of reliable, well-trained plumbing experts that are always dedicated to serving you. Whether it be a small leak or a major disaster, A-1 Plumbing Service prides itself on being accessible 24 hours for our clients. We know how important it is to ensure that you have proper hot water, working sewage pipes and reliable drainage, we are always ready to ensure that your entire plumbing system is functioning properly. We pride ourselves on being the most reliable 24-hour plumber in Winter Garden. A-1 Plumbing Service offers the best customer service you could expect from a plumbing company in Windermere. The manner through which your plumbing issue and other plumbing projects will be handled will surpass your expectations. This is what distinguishes us from other Windermere Plumbers. In addition to being available 24 hours a day for your Windermere plumbing needs, we also accept all major credit cards and we even provide financing for larger projects that aren’t within your current budget. Even if you are on a tight budget, we are always ready and willing to help. Do not wait till your plumbing issues escalate before reaching out to professional Plumbers in Windermere. Once you notice any plumbing issue in your home or surroundings, contact A-1 Plumbing Service immediately. Our customer service oriented staff will ensure that you get the best service at the best price for your Windermere plumbing needs. Reach out to us today to speak to one of our experts!